There are plenty of views out there on what really makes a difference to student learning. Did you know that ground breaking research has proven what informed teachers and parents have known all along. That the professional who stands at the front of your child’s class each day will have a bigger impact than any almost any other factor. Is that teacher fully planned and prepared for each teaching day? What is the quality of their relationship with their students? Do students receive quality feedback on their work? Are students shown how they can improve? Is the teacher sensitive to their specific learning needs? Are programmes based on clear goals and high expectations? Do these programmes build the skills required for success at secondary school and beyond? A bus service to and from Kamo, and no private school fees! While fully a part of the school we also recognise that the needs of Year 7 and Year 8 children are in some respects unique. 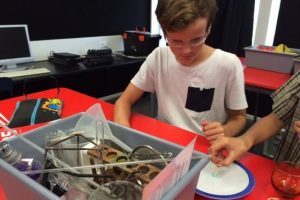 We make specific provision for those needs within specially targeted and academically rigorous programmes This prospectus endeavours to highlight some of the many advantages of Year 7 and Year 8 education at Matarau School. It is by no means exhaustive and should be read in conjunction with the schools general prospectus, Year 7 and Year 8 and the full primary school. Our Year 7 and Year 8 programme is based on the national curriculum. 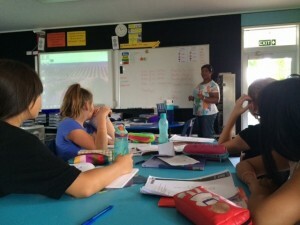 This means that the basic framework for curriculum delivery is prescribed by the Ministry of Education (and audited by the Education Review Office) to ensure that our year 7 and 8 children have programmes not dissimilar to year 7 and 8 children in secondary, area or intermediate schools. In fact it is not uncommon for children in full primary schools to be operating at a higher instructional level than their counterparts in larger schools. Education in a school where these children are already well known by staff. Class numbers substantially lower than in most urban schools. Class numbers are usually in the low twenties enabling more individualised instruction and better access to learning resources. 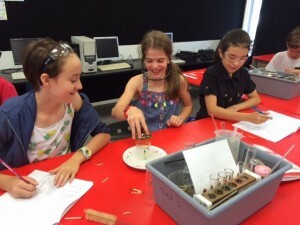 Specialist teaching in Science, Technology (off site) and digital technologies (on site). 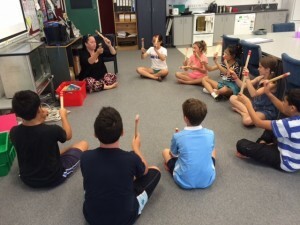 This ensures senior staff have the opportunity to specialise in areas of strength (as occurs in larger schools) and accustoms children to the experience of multiple teachers. Secondary school bridging programmes which ensure the best possible preparation for secondary school. The options programme provides opportunities to extend learning into areas of personal skill or interest. It also exposes students to material they might encounter at (and beyond) secondary school. Children will also participate in a career guidance programme. 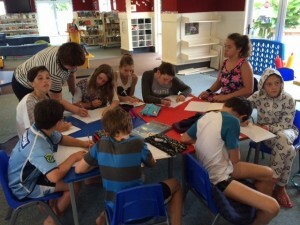 On Tuesday afternoons Senior students at Matarau School work on a range of activities that they would like to learn more about. These activities are chosen by the students. The activities enhance, motivate, introduce the children to a range of learning opportunities. The strength of this programme is the wide range of activities. Each student chooses two activities per afternoon, normally one is a language. 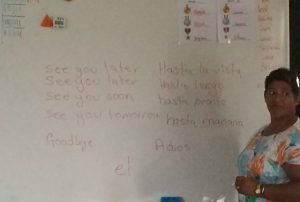 This is an introductory approach to introducing the students to Spanish. Learning covers areas such as language, protocols and games. Students learning phrases in Spanish. Matarau School is very fortunate to have gained the support of the NZ Korean Consul to help fund a teacher to come in and help us with this programme. This programme is at introductory level covering letter and sentence recognition, customs, speech and culture. Students working together on a group task. This student is copying down a sentence in Korean. Practicing letter formation. This is an important part of education for all NZ students. 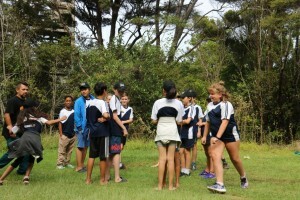 The benefit of this programme is that students are able to extend this interest of Maori into small group learning. Learning covers areas such as language, protocols and games. 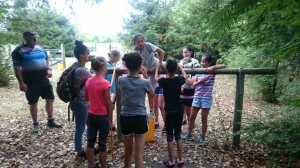 Students work through coordination skills using a traditional Maori stick game. A chance to be introduce to the world of computer programming. 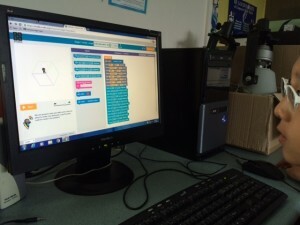 The programme focuses on teaching children how to create a series of instructions that makes the computer perform a task. We are actively teaching problem solving, thinking, sequencing and creativity. The end point is to create a simple game for others to play. One of our students, Nathan made a game of Flappy Bird. A student creating instructions to complete a task. Students are asked to work through a Scientific process. This will involve Prediction, Hypothesis, Variables, Testing and Evaluating what has happened. Students are discussing their observations of what just occurred. As part of the Tuesday afternoon options program, some of the students have been engaged in a sport’s science unit of work. This unit has been focused around acquiring a specific skill from a chosen sport. During their studies, students decide upon a means of collecting data on their initial skill measurement before completing focused practice sessions, with the eventual goal being an improvement in their collected data. They are given the opportunity to research the components of the skill, as well as receive coaching tips from Mr. Le Breton during their practice sessions. Each session is recorded as evidence of practice, along with reflective questions that are either backward, forward or inward looking, in an attempt to frame and priorities what their next session will involve. 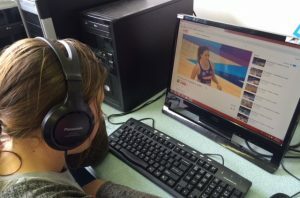 This student is analysing video footage of a rugby ball being kicked. This is part of a process to improve his own kicking technique. The school provides supervised study time (year 7 and 8 students only) from 3:00 PM to 4:00 PM on 2 to 3 afternoons a week. During this time students may seek additional assistance in areas of difficulty. This service is provided free to parents. Please note that children must be registered in advance for this programme. We take seriously our responsibility to prepare our seniors for secondary school. We have regular liaison with local secondary schools to help ensure that our seniors are prepared academically and socially for this important step. We undertake an extensive programme of preparation for secondary school entry tests and have consistently achieved grade averages well above average overall entry levels. Copyright © 2018 Matarau School. All rights Reserved.